Termites are a bigger problem than people like to admit. 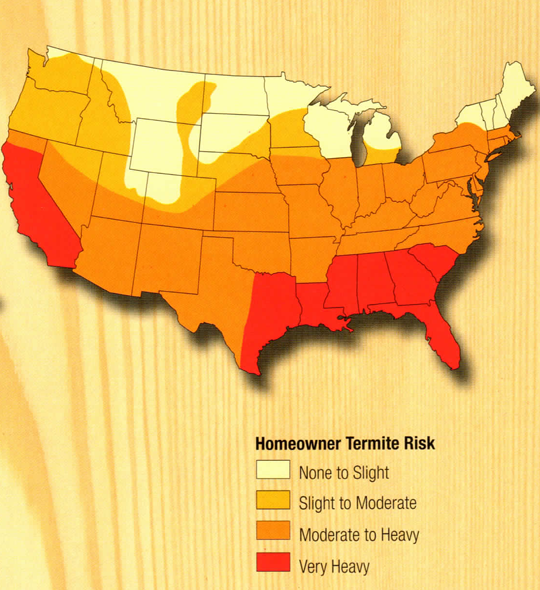 We know just how destructive termites can be because we have seen it first-hand. In fact, the US Department of Agriculture pointed out that termites can end up costing Americans anywhere between $3 billion to $4 billion each year in repairs and termite control. Allowing this issue to get out of hand can cause serious and almost irreparable damage to your home. 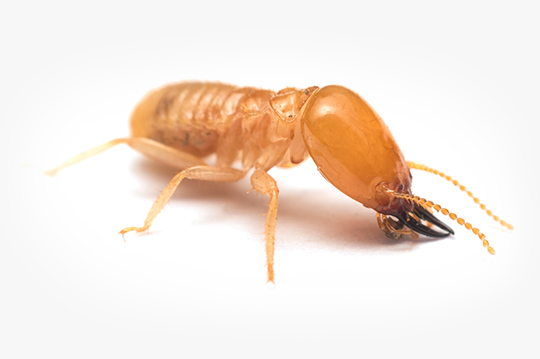 One of the things that makes us an effective termite specialist is our attention to detail and our expertise with various methods of dealing with termites, such as liquid termiticides. Our team of experienced, certified, and registered technicians have worked on homes and businesses. We have the expertise to deal with any type of property and will do our best to preserve your property's integrity as best we can. You can be sure that our service specialist will be able to identify your specific issue due to his or her experience and knowledge. Our specialists have used liquid termiticides and are very familiar with the process, which is vital in order to get the most out of this particular method. The first thing that you will go through, should you choose our company, is a meticulous inspection. Our specialist will come to your property and draw a detailed graph of the property. This gives us the necessary knowledge to specialize the treatment to better serve your property. Understanding the overall construction of your building helps us determine how termites get into your building. It should be noted that over one hundred gallons of our termiticide will be applied near the foundation of your property. This makes it imperative that this solution is administered by an experienced hand like ours. You will also be given a quote for the service before the day is over. The second visit will come with a team of about two to four specialists, though, this does depend on the size of your property. The group will be briefed about your property. The team will drill through specified locations in your property's foundations. These are the locations where the Better Termidor Termiticide will be applied. It should be noted that the Better Termidor Termiticide is considered one of the most effective liquid termiticide on the market. Our team will apply the solution in a way that is even to ensure the best barrier between your property and the damaging insects. The liquid has the ability to effectively kill and repel termites when applied with care and expertise. Yes, all of these steps require that our team be experienced with foam machines, masonry drills, pumps, heavy-capacity tanks, sub-slab injectors, and many other tools. We are proud to say that all of our technicians are more than qualified to use the tools necessary to get the job done. You should remember that we do offer guaranteed protection. This is a protection plan, which is more of a renewal inspection plan. This plan will happen every year, which kind of resembles an insurance plan. Do not be afraid to contact us to find out how we can help you and your particular situation. We will do our best to deal with your concerns as best as we can, or we can set up an appointment for an inspection. At least one king and queen are at the center of every termite colony. The queen's sole purpose is to reproduce. She can live for as long as 30 years. While in the nymph state, termites diverge into different castes: workers, soldiers, reproductives, and supplementary reproductives. These blind, wingless termites make up the largest caste and are more likely to be found in infested wood. They build, repair, forage for food, and care for other termites. These termites will eventually leave the colony as Swarmers. After swarming, they shed their wings and pair up. Each male-female pair attempts to start a new colony. These termites help increase the population of established colonies and can serve as replacements for the king or queen if they should die.